Why Not Add A Massage to Your Apres-Ski Routine? With the temperatures now firmly planted around the freezing mark, and the mountains having received a healthy blanket of snow, you might be dreaming of slopes and ski lifts. Getting to the top of the hill for your first run of the day, and turning your way down through a few inches of powder is a wonderful feeling. Fast forward a few hours, and that “wonderful”’ feeling might have shifted to a few bruises, cold ears, and muscles tired from a great day of skiing or snowboarding. Afterwards, when your snowy gloves are drying and your feet are thawing out, why not gather the troops and head out for . . . . a massage? 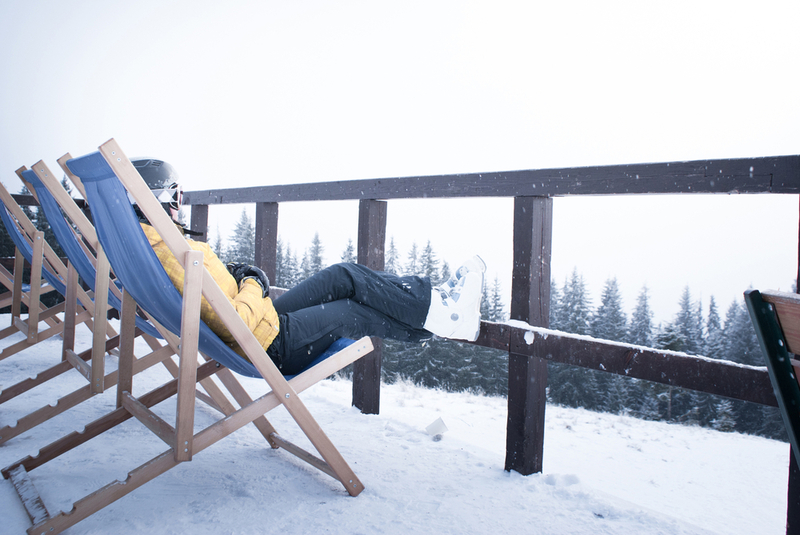 Sure, usually you go for the post-slopes round of beers, but why not book a round of appointments at Elements instead? Your body deserves it. Your glutes, quads, and back go through a great workout while skiing, and chances are that you might have pulled or strained a muscle or two. Rather than rely on anti-inflammatory medications or ice for your sore areas, it’s a great idea to hit the massage table right away. Need proof? In a 2012 study (found here: http://articles.latimes.com/2012/feb/01/health/la-he-massage-20120202) eleven men were put through an extremely hard workout, and given a massage right after. The massage given to these study participants decreased exercise-caused muscle inflammation, similar to the relief you get from certain over-the-counter medications. Even more impressive: the massage increased their bodies’ production of mitochondria, which help our bodies to generate energy by breaking down food and oxygen. Plus, studies have shown that other sore-muscle treatments like ice baths and medications can actually block muscle repair, while massage promotes it. It’s healthier. The relaxation you get from post-slopes cocktails is only temporary, and may lead to feeling even worse the next day. Conversely, massage can better your sleep, improve your circulation, heighten your mood, and even improve your immune system. The last time we checked, the happy hour pint at the bar doesn’t do any of that (quite the opposite, actually). It’ll prime you for the week ahead. Did you know that massage can suppress stress hormones and promote feelings of well-being? Massage increases serotonin and oxytocin, which help you feel more peaceful and happy. It also suppresses the stress hormone cortisol, leading to a lower feeling and perception of stress. Starting off your week with an activity that will give you a preemptive strike on the stress that you might encounter over the next few days sounds like a great idea to us. Your ski pals deserve it, too. Even if they’re not regulars at the massage studio, we’re guessing they’ll fall in love with getting frequent massages. They’ll be happy addicts, and have you to thank you for it. For just a bit more money than you’d spend on dinner and drinks out, you can treat yourself to a therapeutic experience that will heal your body from the wears and tears of skiing, and make your next week just a little better.